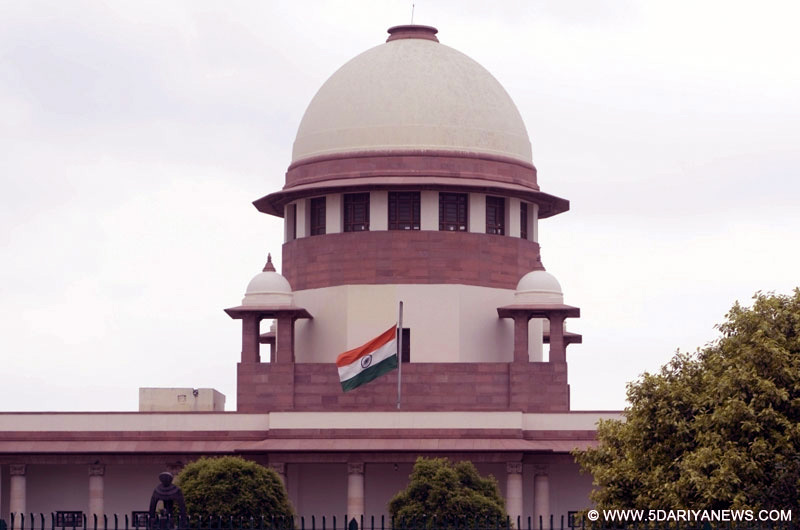 The Supreme Court on Wednesday asked the Central government about the steps taken on the issue of depletion of groundwater in Delhi, and sought the presence of the Central Ground Water Board's Member Secretary before it for assistance on the issue.A bench of Justice Madan B. Lokur and Justice Deepak Gupta, during hearing pleas relating to the validity of Delhi Laws (Special Provisions) Act, 2006 and subsequent legislation protecting unauthorised construction from being sealed in Delhi, was told that steps are being taken on depletion of groundwater here.The bench had raised the issue of groundwater during the previous hearing of the matter on April 9.Meanwhile, Additional Solicitor General N.S. Nadkarni, appearing for the government, also told the bench that the special task force (STF), proposed to be set up to monitor issues relating to unauthorised constructions, would also deal with the safety aspects of buildings built legally.The STF will also examine the safety aspects in buildings like hospitals, schools, restaurants and theatres, he said, adding that a representative from the office of Delhi's Lt Governor has also been added to the STF. On the issue of security to the court-appointed monitoring committee, the Central government said proper security arrangements would be provided so that the committee could carry out the sealing drive in Delhi as per the top court's direction.Earlier, the committee had complained to the bench about the lack of police protection for carrying out the sealing drive.The court then posted the case for further hearing on April 24.The government on April 9 told the apex court that it has proposed to set up an STF to monitor issues relating to unauthorised constructions in the national capital and will take steps to demolish them.The STF, to be chaired by the Vice Chairman of the Delhi Development Authority (DDA) and having representatives of the DDA, the three civic bodies as well as the the New Delhi Municipal Council, the Delhi Jal Board, Delhi Police, Traffic Department, and Delhi's Transport, Revenue and Fire departments, will identify encroachments on the government land in Delhi and reclaim it.It would also identify areas of congestion of traffic in Delhi and suggest measures to remedy the same to local bodies and other agencies.